Are you traveling with beads to make jewelry on your trip? 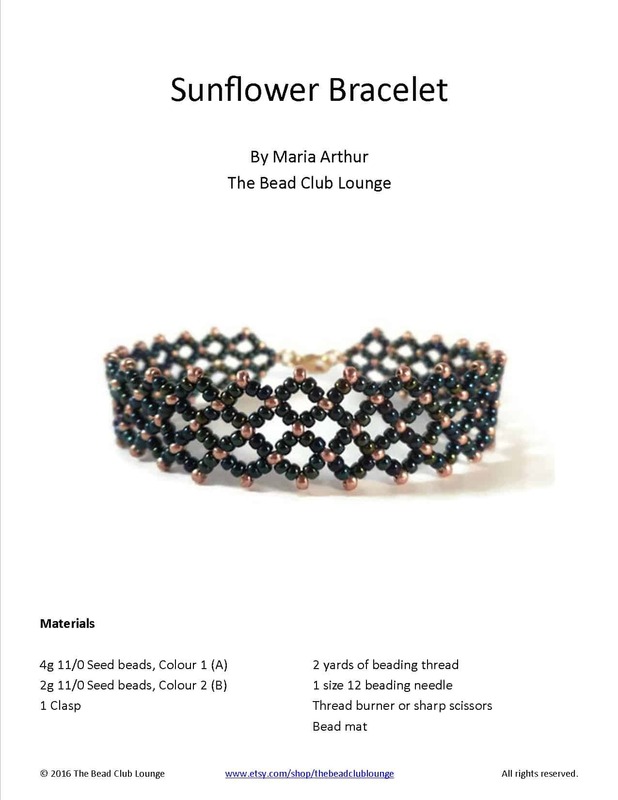 Here’s a list of beading supplies you need to complete bead-weaving projects on a plane. Summer and the holidays are prime times of the year for travel. But, taking beads and jewelry-making supplies along on a flight, presents its own issues. You have to make sure you comply with TSA regulations which means flammable supplies like adhesives or sharp objects e.g. scissors may be out of the question. You also have to consider that you’ll be on a moving vehicle and at any time, you may have to pack up your beads quickly. Taking the time to plan ahead can save you a lot of headaches later. If you’re going to be traveling with beads, here are some supplies you might need. Keep all of your supplies packed neatly in one place using a tote bag or a case. This makes it really easy to just grab all of your materials and have everything at hand. After you’ve used an item, immediately place it back in the bag so you don’t leave any of your precious tools or beads behind on the plane or in your accommodation when you leave. A bead board with a lid is the perfect tool for the beader on-the-go. There are several advantages to using one of these nifty tools. In the event that you need to raise your tray table due to turbulence or if someone wants to get out of their seat, you can easily cover it to secure your project and lift it up. No fuss necessary! You can also use a sticky bead mat while traveling. Its sticky surface prevents beads from rolling around and falling to the floor. While it’s not as convenient to use as a bead board, it’s still a viable option. There’s a wide variety of containers you can use like this one with containers in different sizes or this with individual screw top containers and even this set of lockable boxes with compartments that open separately. You can also reuse tubes that beads come in. I personally prefer containers that you can open one at a time. It’s much easier to get the beads in and out and you can just grab one or two containers which is much more convenient in a small space like on a plane. If you’re bead stitching, you’re going to need something to cut the beading thread, right? This is where a scissors or thread burner comes in handy. But, with security regulations for air travel, you need to be very careful when carrying these objects on a plane. If you do take a scissors along, make sure the blades are less than 4 inches long. Micro snip beading scissors like these would fit the bill nicely. A thread burner does produce a little smoke as it burns the thread especially when the battery is brand new. If yours does this, please do not use it on the airplane because you don’t want to set off any smoke detectors. Remove the battery from the thread burner before packing it so it doesn’t accidentally get switched on in transit. Secure your scissors blades and thread burner tip so they don’t cause injury to security personnel or yourself and to protect your tools from damage. Please double check security regulations before you go on a trip to learn what rules you need to comply with. And, just know that the final decision lies with the TSA officer so your tools can be confiscated. Here’s a full list of what you can bring on a plane. To avoid any issues at all, cut off pre-measured lengths of thread to use on the plane and just pack your scissors or thread burner in the checked luggage. Have you ever dropped a beading needle on the floor? Those little suckers are almost impossible to find afterwards. Avoid this happening to you while traveling and use a magnetized needle case. This would also be a great place to store your scissors or any other small metal objects you need to use e.g. findings. A magnetic sewing pin cushion is another good option for securing needles and findings. No matter what technique you’re using, you’ll probably need a pair of pliers along the way. When bead-weaving, pliers come in handy to attach clasps or earring hooks and they’re great for pulling the needle through a tight spot in your beadwork. Purchasing a pliers set tends to be cheaper than buying them individually. Plus, they usually come in a neat case that keeps them organized. You can even get mini ones just for travel so they take up less space in your luggage. You may not have access to WiFi while traveling and even if you do, the connection may not be the best. So, it’s always a good idea to print out the patterns you’ll use before you leave for your trip. This way, there’s no issue whatsoever. Make sure to read through the tutorials completely and research any terms you don’t understand. Make a note of them on the pattern so you can refer back to them later, if necessary. To see more recommended beading supplies, check out my Amazon store here. Traveling with beads and jewelry-making will be a breeze once you have these beading tools and supplies. Did you enjoy this post? If so, don’t forget to share it on Pinterest! Rarely have the opportunity to travel, but this information was informative and helpful. Thank you! I’m glad you found it helpful! Even if you just took a road trip somewhere, you can use this information. You just wouldn’t have to worry about airline security restrictions. And, it’s also great if you don’t have one place you can bead and want to move your projects from one place to the next.